what book do you feel everybody should read, and why? There are a lot more I could include on this list but I feel like SoC and Evelyn Hugo are loved by so many people and I feel like almost everyone could enjoy them! 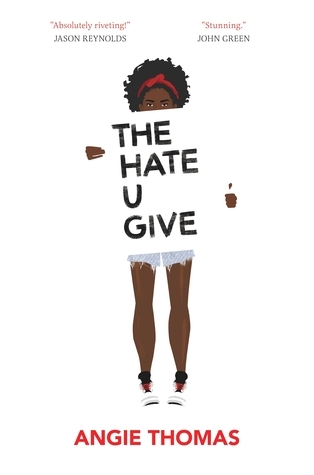 Plus, Evelyn Hugo and THUG have so many important messages and themes that I think it’s necessary that everyone reads them. what was your first memory of eating a mango? I can barely remember what I ate for dinner yesterday and I’m expected to remember this?? I should stop blogging. Too many expectations. I… will not personally eat it, but I won’t judge other people for eating it… but at the same time why do you put FRUIT on a PIZZA. I love talking about childhood books because then there’s always someone who’s like OH MY GOD I READ THAT TOO!!! and then the secret 3-year-olds in us get to scream about those dumb books and it’s so much fun. if you HAD to choose: reading or writing? what is your advice for aspiring bloggers in the book-sphere? I love this question so much! Honestly, I think the biggest tip I can give is just. INTERACT! And I know it’s hard, and often draining, and definitely time-consuming. But the best part about blogging has been building relationships with other people and making the best of friends, and it makes blogging not only more fun but just richer. I also recommend finding your “niche”! It’s sometimes hard to find it at first, and it’s not COMPLETELY necessary, but it definitely is super helpful. If you know your niche, then you know the type of content you want to post and you can focus on that! 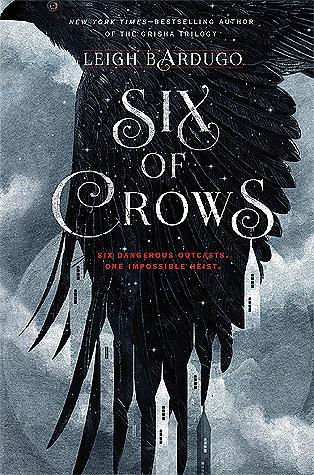 if you were any character in Six of Crows, who would you be? what’s the one thing you wished you had known before starting blogging? I wish I’d known to take it slowly. I did way too much that first year (3 1k-word+ blog posts each week, commenting on all the posts in my Reader each day from the 100+ blogs I followed) and I wish I had just taken it easy. Pushing yourself to be a big, amazing blogger and it makes me so sad to see bloggers push themselves past their limits, when that was exactly what I did, and it hurt me a lot. when (and why) did you start reading? I officially learned to read when I was about four years old (though my mom tells me that before I could read, she would read me picture books so much that I memorized the words and could read along with her). And I think I’ve honestly loved it since then? As for the why I started reading, I guess I just loved when my mom read to me, and when I could do it by myself, I just kept doing it? I loved reading these fictional stories and it was just fun for me as a little kid (and now)! Oh, I love this question so much!! I see myself at 2,000 followers (AAAAAAAHHHH), which is so odd to me because it’s always seemed like a large number but now it’s actually realistic??? (AAAAAAHHHHH.) I’m hoping I might reach 2,222, or 2,200, or 2,022, since that would be a cute coincidence with my blogiversary day, January 22!!! I also see myself back in my blogging rhythm!! Maybe not to the extent I was in my first year of blogging, but enough that I’m happy. I want to be commenting on blogs regularly again, and keeping up with my own comments! And I also hope that I’m satisfied with myself as a blogger, and my blog. Though I AM proud of myself and my blog, right now I’m not FULLY satisfied, because of my whole lack of interaction thing (which I am trying to be better at!!). I really hope that will change in a year!! could you list your top five favorite Foxes? this is very important to me right now. thank you. I love you. For those who don’t know, Foxes is referring to the team in The Foxhole Court, which is part of the All For the Game trilogy. And I kind of became… obsessed, to put it lightly, with this series last year. My favorite Foxes changed with each book but I think I have a pretty good list now??? The last four are all like SUPER close because I love them all so much!!! If this was like on a point system, it would probably be Neil and Andrew at 10, Renee at 9.5, Nicky at 9, Kevin at 8.99, and Matt and Dan at 8.98. I LOVE THEM OKAY. would you prefer to go into your favorite book world (just live in it) or have a conversation with your favorite author? Oh god, definitely go into my favorite book world. Talking to my favorite author would be so SCARY considering I’m so awkward and nervous around people I don’t know very well, and if they’re someone I look up to? Even more awkward. And as for which book world I would want to go into (I know it wasn’t part of the question but do I look like I care? no), I would definitely choose the Percy Jackson world! It just holds so much nostalgia for me and seeing Camp Halfblood would be amazing to the little nine-year-old in me. what is a book (or books) that you’ll never get tired of rereading? I’ve only read two series more than twice, and those are the Six of Crows duology and the Percy Jackson series. While I haven’t reread them YET, I also probably will never get tired of rereading The Foxhole Court and its sequels, and also The Seven Husbands of Evelyn Hugo. And Simon vs. the Homo Sapiens Agenda is a book I’ve reread (once) but I definitely won’t get tired of reading it again and again! who’s one of your favorite authors? Here’s a lesser-known favorite author of mine (or at least a lesser-read author): Anna-Marie McLemore! She is a queer Latina author, and she is an absolutely BEAUTIFUL writer. Her magical realism is my favorite and her prose is always just gorgeous and I wish more people read her! Petition to take away Julianna’s rights? what are your favorite posts to write? I love writing all kinds of posts, honestly! (Even book reviews. Sometimes.) If I had to narrow it down to just three, I guess I would go with discussions, book lists, and recaps/wrap-ups. Okay, so maybe that’s like every type of post I write… what are you going to do about it!! This is such a hard question! I don’t think only One book has influenced me, more like a culmination of a lot of books that have affected me, but I think I might (predictably) say Percy Jackson or Six of Crows! Percy Jackson was the first series I really ever Obsessed over, and Six of Crows was the first YA series I Obsessed over, which led me to read more in the YA genre and realize how much I loved it. AAHHH THANK YOU SO MUCH!!! It might be the combination of my lack of sleep and hydration, I recommend it!! Next Discussing Blogger Appreciation and the Lack of It: Analyzing Answers, Stats, and Graphs From a Survey I Made! 2. can’t believe u followed 100+ blogs?????? WHAT. 2. I literally have no idea how I did that who was I??? There’s nothing wrong with a love letter to your favorite books, May! 😉 I PROMISE I will read Six of Crows soon, I’m just reading all of the other Grishaverse books first! Happy 2-Year Blogiversary! Here’s to another great year! Anyway!! I loveee this post May; your answers are so great & funny and made me smile, hehe. I LOVE PERCY JACKSON SO MUCH; no other series will ever live up to the endless love I have for it. I have so much nostalgia and adoration for this series 😭💙 Percy and Nico and Leo and Annabeth and every one of the demigods are the best!! I haven’t read SOC or TFC yet (don’t kill me!! ), I know I have to!! Don’t worry, I’ll read it once you read Foolish Hearts 😉 AND OMG I READ ALL OF THOSE CHILDHOOD BOOKS!! 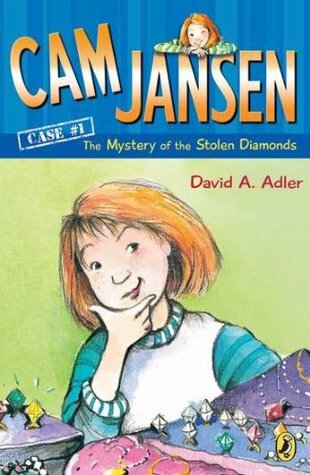 I loved Cam Jansen because I loved mysteries back then (that’s why I loved the A to Z Mysteries by Ron Roy as well). And I was obsessed with Rainbow Magic hahah; I literally read hundreds of those books!! They were so addicting. Now I want to reread All For The Game… Okay maybe I just want to reread All For The Game always. And ahahaha I always hate being asked when I started loving reading/what got me into reading, because same,I sort of just… always liked it. My parents started reading to me when I was teeny tiny, and I never stoped. And ahhhhh I just read my first Anna Marie McLemore (The Weight of Feathers) and her writing is SO BEAUTIFUL. I need more asap. 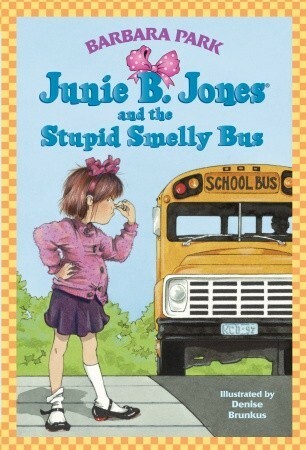 I READ CAM JANSEN AND JUNIE B. JONES. My first loves, along with The Magic Tree House series. 😁 And I need to read Evelyn Hugo soon! It sounds amazing, from everything I’ve heard of it so far. Also, SoC and Percy Jackson are great series to obsess over because they are the Best. I just bought Evelyn Hugo actually and I’m so excited to read it!! 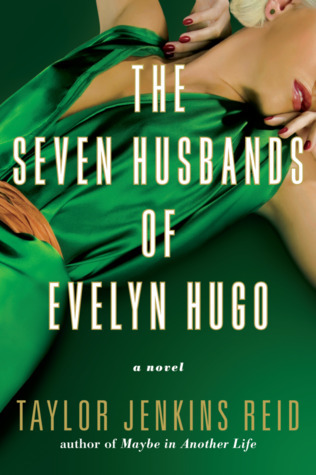 Okay so the only book on your must read list I haven’t read is The Seven Husbands of Evelyn Hugo and that’s on my 2019 TBR so i’m good. DUDE I LOVED THOSE RAINBOW MAGIC FAIRY BOOKS. THEY WERE TRASH BUT SO GOOD. and OMG i didn’t expect you to say Wylan for my question (yes, i asked that) but honesty that’s so true?? I feel like you are. And I love Wylan so it all works out. ALSO, YOUR ANSWER TO THE LAST QUESTION MADE ME LAUGH, DRINK SOME WATER!!! I mean I haven’t read Percy Jackson but they’re probably 2020 TBR because they look like a long series that you have to get invested in and I want to make time for that. 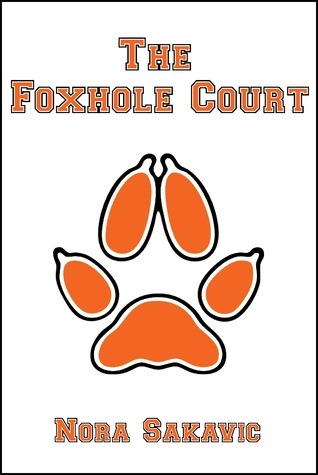 AND THE FOXHOLE COURT I’m probs gonna read in feb/march sooo. I’LL SEND U UPDATES. Aww, going into the Percy Jackson world would be so amazing. Camp Half-Blood? With Chiron and Mr. D and all the fun activities? YES, I’M IN. Wonderful post, I loved reading all your answers! This post just makes me want to reread Six of Crows and Percy Jackson RIGHT NOW. Also, yes, I desperately need to read the Foxhole Court. I hope someone never makes me actually choose between reading or writing. I love both so very much and honestly, have no idea which one I could not live without. I just love books SO MUCH. And good luck on hitting your follower count goals! So exciting! SIX OF CROWS IS AMAZING AND DESERVES ALL THE HYPE IN THE WORLD!! Happy blogiversary!! I’ve read Six of Crows and Percy Jackson but it’s only recently The Foxhole Court has been popping up on places? I don’t know. Don’t think I’ve heard of it before these last two weeks or something. Could be wrong.. I have to admit the covers do look intriguing in their simplicity, haha. Not enough food questions though? 1. What would be your top-choice if you could create a cupcake + frosting? 2. Same question but you cannot use mango for either part of the cupcake. 3. What dish would you love to be able to make yourself? Also, I don’t see why people can be so weird about pineapple on pizza.. Like.. We make curries and add mango and pineapple in those as well, which is also savory PLUS fruit so what’s the big deaaaall. Love Six of Crows and Percy Jackson! I’ve been pondering whether I should reread the PJ series over the past couple of months, and I think once I finish my Hunger Games reread, that’ll be next. It’s been way too long! OMG, Rainbow Magic! I just had a massive flashback to like ten years ago! I remember checking out piles of those books from the library all the time. Omg I read Cam Jansen, Junie B., and Rainbow Magic when I was little too!! Happy blogiversary, May! Happy Blogoversary May!! 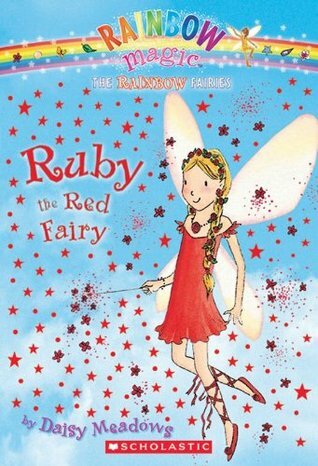 And omg the Rainbow Fairy books were one of my favorites when I was young. I ever wrote (an unfinished) story heavily inspired by them, lol! Happy anniversary! I need to read Six of Crows, Crooked Kingdom and Seven Husbands but I adored THUG when I read it last year. Unfortunately, I have yet to pick up The Foxhole Court, otherwise I think we’d pretty much be okay, hahah. I have started reading it, though! I am a bit lost (I mean I’m only on chapter 2, what did I expect? ), but I have the feeling I’ll love it. I totally relate with wanting to go to Camp Half-Blood and just explore the overall world of Percy Jackson. When I first got into the series, when I was 11, a group of fans organized an event in my city to host similar activities as they did in the camp and all. It was a very exciting event; everyone wearing orange shirts and all; and I remember they even prepared bow & arrows! I made my entire family drive me there, and by the time we got, I just saw everything and left immediately, because I was too awkward to talk to anyone. So, yeah, there you go, my tragic story of the one time I had an opportunity to live a similar Camp Half-Blood situation, but was too shy to function. (Needless to say, my parents were furious, as they drove across town for no reason at all). Man, Percy is awesome, but the first series I actually loved was Harry Potter, I know, almost every friggin kid on this earth will tell you that. Before that, I really loved reading Nancy Drew but then the plot got very repetitive so I had to stop reading them. Roald Dahl and Enid Blyton literally shaped my childhood.